We pay the most money for cars in Long Island. With over 50 years of experience providing cash for car services in Long Island, Cash for Cars managers know the market like no one else. What this means for you is more money in your pocket. Have a car to sell? 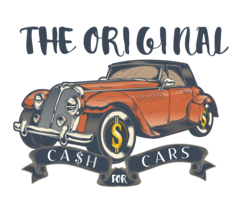 When you finally say it’s time to sell my car, The Original Cash for Cars is the only place to go to get the most money on Long Island. Loan balance? No problem. Just bought it and hate it? No problem. We can help you sell your car fast for cash. Buying any make, any model, any mileage, any condition. New to antique to scrap. Appraisers pay the most money anywhere for late model, running cars, trucks, vans, and SUV’s. Same day service! We come to you!